McCallum: Mystery and Suspense on Television. 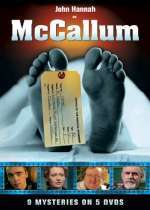 McCallum, a UK series, produced 9 episodes including a pilot and special episode which aired over 2 seasons between 1997 and 1998. 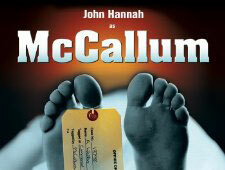 The series starred John Hannah as Dr. Iain McCallum, a forensic pathologist working in the morgue of a hospital in London's East End.